Atoning Dragoon Kain is a 6-star unit that plays the Physical Attacker role. He’s got some pretty good skills to work with making him a great attacker and a great Dragoon. First off, the two Traits High Jump and Dragoon Spirit. Gives a 100% and 120% damage increase on Jump attacks which is great for a Dragoon and he has two Jump attacks. Dragon Dive and Dragon Raid are his Dragoon theme attacks and both of them are gonna be his staple damage dealers. Both deal good physical damage and with the Traits that’s gonna be boosted by quite a lot. Outside of strictly Dragoon moves he has quite a few skills that give him good coverage with damage and resistances. His piercing moves decreasing elemental resistances and sometimes adding elements to his attacks. His thrust moves are interesting ones, removing all status effects from one enemy but decreasing dark, wind, or water by 50%. So he has some slight Support usability in his attacks which is a neat little bonus. But there is no denying that his main roots are being a physical attacker. He hits hard and has a good weapon choice in his equipment. Verdict: A great damage dealer. Both Jump attacks are major sellers paired with his two Dragoon Traits. 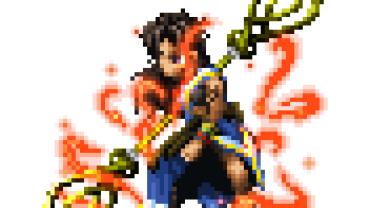 Atoning Dragoon Kain is neutral to all elements and status ailments. Atoning Dragoon Kain can equip 7 weapons and armor. A young dragoon who appears in the tales of a blue planet watched over by two moons. Kain is the commander of the Kingdom of Baron’s elite squadron known as the Dragoons. Not only is he Cecil’s best friend, but also his amicable rival. He is extremely proud and has a strong sense of justice, but lacks the ability to express his emotions well. Disappointed with the unjust actions of the king, both he and Cecil leave Baron and go their separate ways. However, upon reuniting with one another he challenges Cecil to a duel and continues behaving rather strangely henceforth.